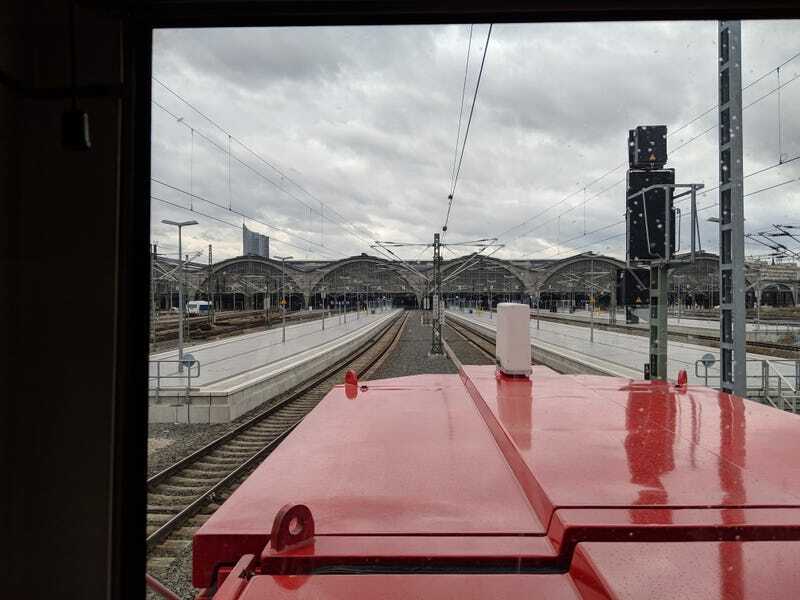 why am i on a locomotive you may ask and why am i looking at leipzig hauptbahnhof? i am the the technician accompanying the engineer on the test drive of this locomotive and the reason why we’re doing this test drive is because it just got it’s first 8-year-overhaul. see, here in germany every locomotive needs to get a major overhaul every 8 years and i’m on a team doing these overhauls for this particular class of locomotives. the test drive i was on that day was also kinda different from the usual fare (just the loco from our workshop in halle to leipzig and back at full speed, 100 km/h) since we were hauling two other locos to the wheel lathe which is situated on the grounds of the ICE depot next to leipzig hauptbahnhof. what made this trip extra gruelling, was the fact that we could only run at 30 km/h because one of the locos (a much older model) had it’s coupling rods removed and was therefore only allowed to be hauled at that speed. i quite enjoy these test drives because it means i have a few hours to relax after a stressfull few weeks of changing parts and testing stuff. it also is a good way to look through the eyes of your “customer”. Going to lay my hands on these two soon!